In this third book in the bestselling Lunar Chronicles series, Cinder and Captain Thorne are fugitives on the run, now with Scarlet and Wolf in tow. Together, they’re plotting to overthrow Queen Levana and prevent her army from invading Earth. First off I would like to give my biggest thanks to Feiwl & Friends for sending me this book. I believe this is one of the best books in the history of books, for me it's Harry Potter, then it's Cinder/Scarlet/Cress. It's just a perfect bled of action, romance, and suspense that when you start it you can't put it down. It took me about four hours to read this five hundred fifty page book. To me all of the characters just seem to be like pieces of a puzzle how they all fit into a perfect place among the others. Getting down to it now. Well in this book Cress is a girl who is a Lunar Shell, rescued from death to work as a hacker to track down Cinder and her crew. But when Cinder contacted her (in book one) she realizes that she doesn't want Queen Levana to take over Earth. So instead she helps the crew from her satellite tower. 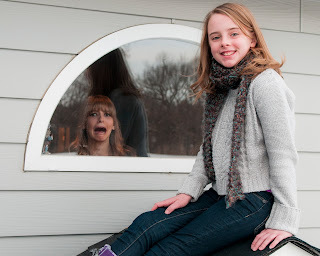 When she finally contacts them for help everything goes awry. Now they're all split up, Scarlet has been captured, Throne and Cress are on her falling satellite, then Cinder is left with an injured wolf on a stolen ship on her way to find Dr. Erland. You follow three different stories and around seven different views, not all of them consistent. Captain Carswell Thorne. He is funny, Charming, and just awesome. He is the flirt of the team that every book just has to have. It was like the author read my mind, he did almost everything I wanted him to in Cress and it was awesome. Well there is the obvious couple Wolf and Scarlet. Then there is the fighting romance between Kai and Cinder. Then there is a new couple in this book, but I won't tell. I think the blend of people and romance is just perfect and I love it and so does every other person I know who has read these books. The action is something that really is suspenseful. Like it comes in the blink of an eye and leaves as quick as that. But in the brief moment so much happens that you freak out. If you haven't started reading this series, DO IT NOW!! If you have, you will love where this book takes you next! You're probably familiar with "Cyber Monday," well since Cress is just two months away, we've renamed today "Cyborg Monday!" We're celebrating Marissa Meyer's Lunar Chronicles series all day long with bonus content, exclusive videos, giveaways, and a new Lunar Chronicles branded tumblr, where we'll be releasing never-before-seen Lunar Chronicles goodies all day long! Download the first five chapters of Cress for free! Submit your Cress pre-order receipt and receive a Cress-branded comb! 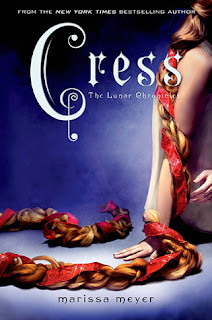 Sign up for the Lunar Chronicles mobile campaign to release exclusive Cress excerpts and more on your phone! But that's not all! Later today we'll be revealing the Cress book tour schedule, an EXCLUSIVE sneak peek at a new short story by Marissa Meyer, Cress teasers and giveaways online, exclusive content on Wattpad, AND MORE!!!! Follow us on tumblr to make sure you don't miss any of the #CyborgMonday madness! This was a very exciting book and I can't wait for the next book. This book kept me on the hook and just waiting for something to happen next. I loved all the twists and turns.